The Department of Agricultural and Applied Economics was the first department of its kind, established in the College of Agriculture in 1909, under the chairmanship of Professor H. C. Taylor. Farm management, marketing, and land economics were early areas of concentration. An international dimension evolved in the 1920s, when faculty organized regular seminars on international land tenure problems. Richard T. Ely and Henry C. Taylor stand together on the front steps of Agriculture Hall at the University of Wisconsin in Madison, in 1919. 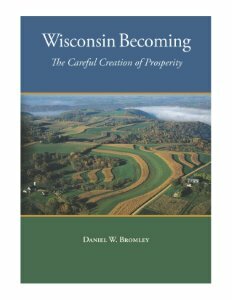 In his new book, "Wisconsin Becoming: The Careful Creation of Prosperity," Dan Bromley documents the sweep of Wisconsin's history through the lens of a century of research and teaching in applied economics at the University of Wisconsin. 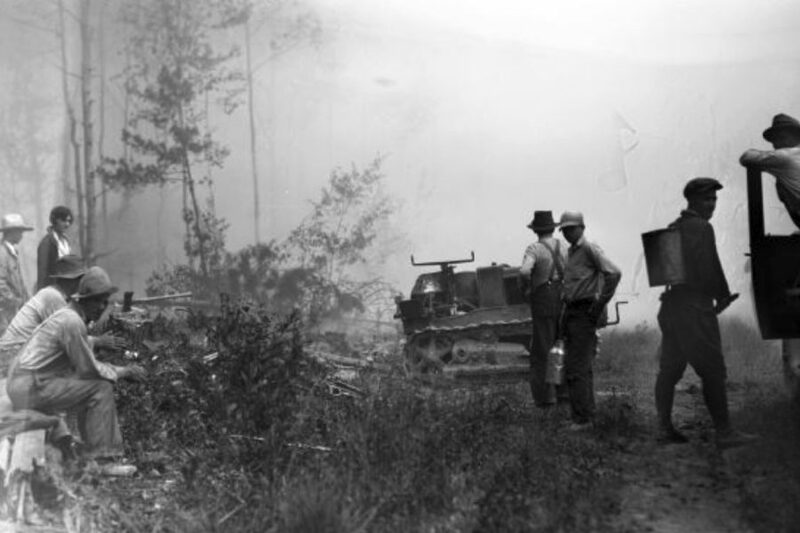 Writing about the destruction of northern Wisconsin's virgin forest in the 19th century, he observes: "In 1909, when Henry C. Taylor founded the Department, the Cutover was already a laboratory-in-waiting for economic research and extension advice. The history of the Cutover – its natural beauty, its devastation, the failed efforts to create viable livelihoods there, its persistent poverty, its emergence as a natural asset offering boundless recreational opportunities – can be understood as one of the defining events in Wisconsin's history. It is from this cauldron that the Department grew and flourished in its founding imperative to create economic prosperity." "This book is much more than a history of our department," says chair Ian Coxhead. "Dan Bromley has produced a popular history of the state – the destruction of its Native population and majestic forests, the making of America's dairyland, and the rise of the conservation movement under the leadership of Aldo Leopold – that provides the context for much of the work that's been done by our faculty, especially in the department's early years." "Economic history tells us that prosperous and industrious societies are built up – and evolve from – a three-part blend of energetic people, a promising natural resource base (climate, soil, water), and attentive and intellectually curious leaders," Bromley writes to explain his concept that "an economy is always in the process of becoming." "This is a book about the creation of ideas…about how to create prosperity in Wisconsin and throughout the global economy," he declares. The Wisconsin Idea "remains alive today, and it continues to motivate our teaching, research, and outreach." Wisconsin's Agricultural Economics Department was the first in the nation, founded by Henry Taylor, whose colleagues Richard Ely and John R. Commons are known for their crafting of the Wisconsin Idea and social legislation like worker's compensation, respectively. They opposed Taylor's move to the agriculture college in 1909, but the new discipline soon took shape at other land grant universities. In the 1960s, department faculty led the discipline toward a global perspective, with the creation of the Land Tenure Center following a world symposium on land tenure problems hosted at UW in 1951. International research on problems of poverty and inequality soon became a hallmark at Wisconsin, initiating a focus that remains today. Bromley weaves the stories of selected projects – trying to understand persistent poverty in post-apartheid South Africa, or protect soil quality in the face of population pressure in the Philippines – into their historical frameworks. "Wisconsin Becoming" illustrates the policy debates and full range of work that have been carried out over the past 10 decades. The problem of market power is addressed in the context of Wisconsin's dairy cooperatives. Protecting Wisconsin's natural beauty, a concern of Aldo Leopold, who taught in the department starting in 1933, has been carried forward by many faculty. Still others have addressed the problems of urban sprawl, property taxes and rural employment. "'Agricultural economics' by no means describes the scope of what we do in the department," says Coxhead, "and Dan Bromley's important history tells us why." Website created by Agricultural & Applied Economics in Wordpress as a child theme of the UW Theme.